Build as high as your product requires or utilize tighter space more efficiently by building up instead of out. LED lights use a fraction of the energy of incandescent bulbs, dramatically reducing power costs. Their long lifespan also reduces the costs of regularly replacing these long-lasting lights. The gold-standard in warehouse lighting. These furnaces are ideal for controlling temperature and indoor air quality. 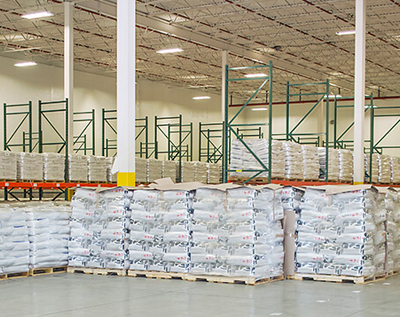 Not too thick and not too thin, 12-inch, R-Factor 24 walls offer just the right amount of structural support and temperature control for warehousing. This high-performance, cost-effective material is a smart investment for insulating a warehouse and protecting the items within it long term. Enough power to run a warehouse with an eye to cost and energy efficiency. Protect your warehoused items secure in the knowledge that should the unthinkable occur, this sprinkler system will limit the damage. Temperatures and humidity levels are carefully monitored and maintained so your warehoused items stay fresh and secure. As warehouse logistics management professionals, we understand that there’s so much more to warehousing and logistics than just space. Construction ready land is available, and we’re ready to get started. Call us today at (888)704-0707 or (563)556-0707. We offer state-of-the art warehouse management solutions for local and international businesses. Let Peosta Warehousing Logistics serve as the build-to-suit contractor and take full responsibility for the development of a building that suits your very specific requirements. What you’ll get is a new building, designed and constructed to your specifications with no initial capital outlay. Our buildings are energy efficient with pre-cast concrete tilt-up walls manufactured locally saving money on time and transportation. 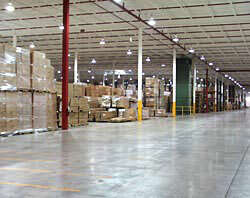 We offer public warehousing as well as contract warehousing facility for leasing and rental. We specialize in local as well as international logistics. Our staff has the expertise to customize logistics solutions specifically to your needs. Call now to discuss your requirements.